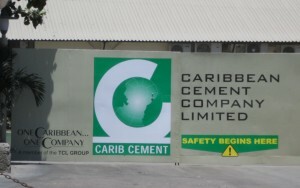 Carib Cement is the IC Insider best performing selection with gains of 573%. Jamaican stocks have climbed sharply this year with junior market stocks gaining 120 percent to the first week in November and the overall market up 79 percent. Several stocks have more than doubled in the process. While Jamaican stocks have jumped sharply those in Trinidad are just marking time which a number of prices retreating as interest rates were pushed up by the central bank on a number of occasions and the country faced falling oil revenues with the fall in world oil prices. In the Jamaican market, stocks that were selling around 5 times earnings or less at the start of the year, have seen a sharp revaluation of many, with an average now around 9 times earnings based on this year’s estimated earnings. A total of 22 companies or 41 percent of the ordinary listings are selling above the average. Indications suggest that the rally in Jamaica will continue, with expectation for interest rates to decline going into 2016. A sharp 32 percent fall in interest rates from March last year to October this year, is one of the main driver of the market. Company results have been mostly strong with many enjoying large increases over the results of last year as well as over the 2013 period. A fall in the cost of energy and fuel and expanded sales in some cases are major drivers of profit gains this year as well. It is partly against the above developments, that IC Insider BUY RATED listing of stocks should be viewed. Some of the stocks have been placed on hold based on the gains to date and much higher valuation as a result of this year’s growth. Four junior market stocks should be held at this moment rather than buys, unless investors are looking at a two to three year’s investment period. Lasco Distributors, Lasco Financial, Lasco Manufacturer and Medical Disposables have reached rich valuations and should be held at this stage of the market. Profit growth for 2017 fiscal year for the Lasco companies should be very strong and will make them attractive buys again, the task is when should these be bought again to take advantage of the strong growth ahead? The problem now is that supply for these stocks is low, currently. Dolphin Cove growth has slowed for this year and remains a hold for now until 2016, the rest of the junior market selections are still attractive buys, with potential gains of 50 to 130 percent for a number of them. 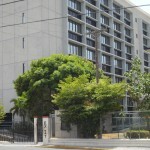 Desnoes and Geddes should be sold now with the price at $30 rather than to await a payout from the proposed buyout proceeds. The Jamaica Stock Exchange share has gained 450 percent since we placed a BUY RATED status on it. The price has room to grow but investors will need to be cautious about buying at current price levels until the release of the September quarterly report in a few days. A hold is placed on the two Scotia shares with both now valued around 10 time 2015 earnings. Carreras is priced close to 10 times this fiscal year’s earnings but high dividend yield well in excess of current Treasury bill rate of 6.2 percent will make the stock an attractive income earner and will continue to drive the price upwards. Mayberry Investments should be a hold at this stage, with reporting earnings not in strong support of the present stock price, the company has the assets that will aid in a large increase in net asset value. In Trinidad, companies are having a tough time growing profits in a meaningful way but there are still a few stocks that are worthwhile holding, with Trinidad Cement being a very compelling buy now selling at a PE of 4 times this year’s earnings. National Flour is undervalued and has room for growth with increased profits in 2015. Most of the rest will have to await 2016 for increased profits and growth. On June 9, 2014, a reader wrote in with the question, “I respect your learned opinion and analysis in financial matters. In this regard, kindly advise if possible as to your views on Lasco Financial, Distributors and Manufacture. Do you believe that these stocks are likely to perform well in the short, medium and/or long-term. The prices on June 6 last year were as follows – it took J$111.37 to buy US$1 and now its roughly $120, an increase of just 7.7 percent. 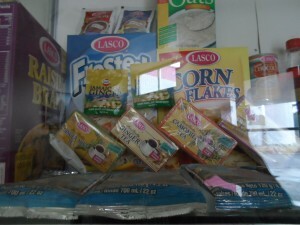 Lasco Distributors traded at $1.32 then and is now at $4 for a gain of 203 percent, Lasco Financial Services traded on June 6th last year at $1.15 and gained 156 percent to trade at $2.95 on Friday last week and Lasco Manufacturing was at $1 in June 2014 and has gained 180 percent up to Friday last. It is clear from the above which investment was the better one to have made. Those stock while doing very well have not been the best performing on the local market since then. Cable & Wireless traded at 29 cents in the 2014 period and last traded at $1.05 a 262 percent gain, Desnoes & Geddes was priced at $4.25 and is now at $30, the Jamaica Stock Exchange was then priced at $1.95 and has increase by 464 percent and Caribbean Cream moved from 75 cents to $4.35 for a gain of 480 percent. IC Insider’s response, thanks for your enquiry. As you will see our BUY RATED list contains these three stocks. Here are our views. First off the local stock market tends to go down around May until last June or July. This is not cast in stone, just a tendency. One reason for it is that investors get the full information as to what companies did last fiscal year and a glimpse for the new-year. In the case of the three Lasco companies they have just reported their full year results. The distributorship earning is the most encouraging of the three and looks like it will probably do better than the other three in the short to medium term. 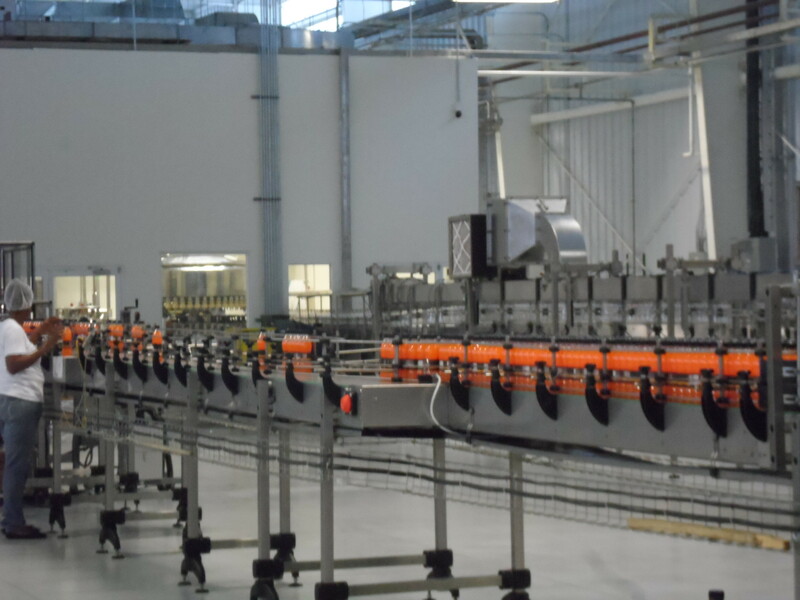 It will also benefit from the Salada Foods distribution which started this year, as well as from increased production to come from the expanded Lasco Manufacturing company’s operation. The information suggest that the next set of results should possibly show growth over that of 2013. Lasco Financial seems poised for good things, but big marketing spend last fiscal year kept profits down as they went for more market share. It does look as if they will be spending on the world cup promotions which could build business, but may also keep profits pressured somewhat for a while. Lasco Manufacturing seems cheap at $1 bearing in mind the impact that the factory expansion is likely to have on both sales and profits ultimately. Short term they will have to pick up interest cost and depreciation on the completed factory but will enjoy cost savings and ultimately increased profits. One need to be careful of converting to foreign exchange at this stage, as the big move in the FX trade could be over. You may have to hold the stocks for a while but the investment could pay off in the medium term, more so in the case of financial and distributorship, during 2014. We would want to see he Q1 results for Manufacturing before jumping. It is our view that the market overall, is undervalued but investors will need to be patient and the payoff is likely to huge for those who wait, the gains to be reaped elsewhere is not likely to be all that great, to cause one to jump and possibly miss the gains in the local market that is ahead. 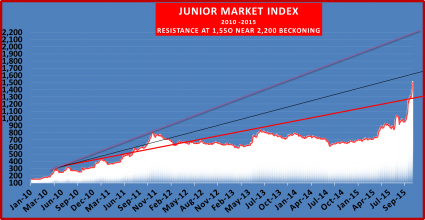 The junior market index closed above 1,500 points on Friday & could be heading for over 2,000 mark but not just yet. 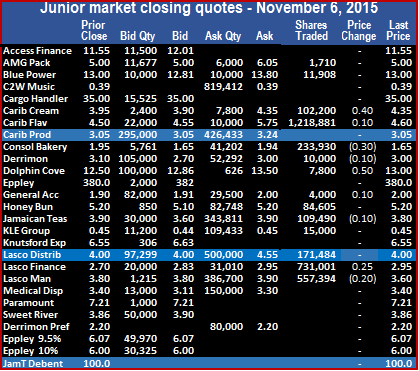 The junior market crossed over the 1,400 mark on Wednesday and closed with a rise of 20.35 at 1,512.59 points on Friday. The junior market gained 12 percent for this week as the index grew by 187.64 points and brings the total gains to 120 percent for the year against all stocks on the market rising 79 percent based on the combined index. 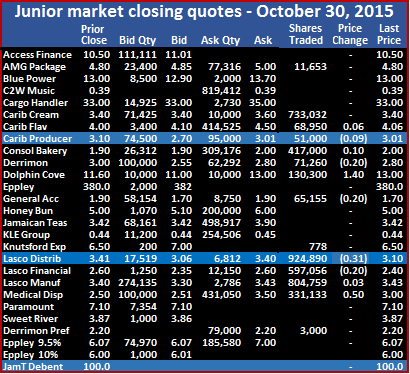 The junior market ended trading in 14 securities as 5 stocks advanced and 4 declined. A total of 3,259,403 units, valued at $12,418,302 changed hands. The market ended with 3 stocks closing at new 52 weeks’ high and 1 at 52 weeks’ intraday high. Three (3) securities ended with no bids to buy and 9 had no stocks being offered for sale. A total of 5 stocks closed with bids higher than the last traded prices and 1 closed with a lower offer. In trading, AMG Packaging closed at $5 with 1,710 units changing hands, Blue Power closed at $13 with 11,908 units trading, Caribbean Cream ended with 102,200 shares changing hands at a new 52 weeks’ high of $4.35 to gain 40 cents, Caribbean Flavours traded 1,218,881 units to end at a new 52 weeks’ high of $4.60. Consolidated Bakeries fell 30 cents to end at $1.65, with 233,930 units changing hands, Derrimon Trading ended with 10,000 shares trading at $3, Dolphin Cove had 7,800 shares changing hands at $13 after rising 50 cents, General Accident gained 10 cents with 4,000 shares trading, in closing at $2, Honey Bun ended with 84,605 units changing hands at $5.20. 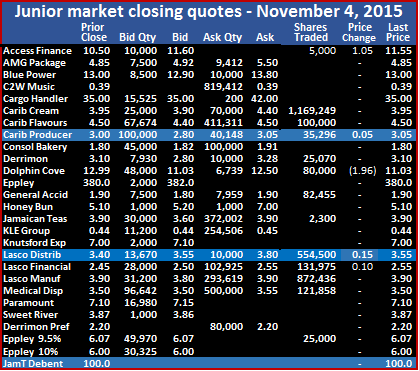 Jamaican Teas fell 10 cents with 109,490 shares trading, to close at $3.80, KLE Group ended with 15,000 units trading at 45 cents, Lasco Distributors closed with 171,484 shares changing hands with a gain of 45 cents to $4, for a new all-time closing high. Lasco Financial closed with an increase of 15 cents at a new 52 weeks’ high $2.95 with a total of 731,001 shares changing hands and Lasco Manufacturing fell 10 cents to end at $3.80 with 557,394 shares changing hands. The junior market just crossed over the 1,400 mark on Wednesday and closed less than 8 points from the 1,500 marks as bulls continue to their forward march. At the close on Thursday the index climbed 4.5 percent or 64.32 to at another record close of 1,492.24. 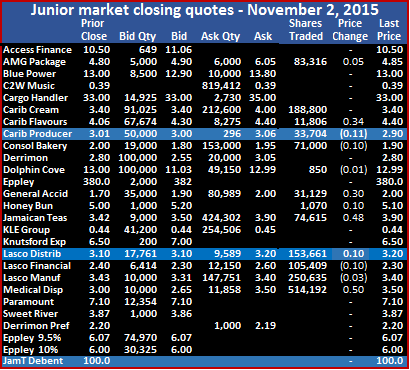 The junior market ended trading in 17 securities as 8 stocks advanced and 4 declined. A total of 2,644,357 units, valued at $8,917,979 changed hands. The market ended with 4 stocks closing at new 52 weeks’ high, while 3 securities ended with no bids to buy and 11 had no stocks being offered for sale. A total of 5 stocks closed with bids higher than the last traded prices and 2 closed with lower offers. 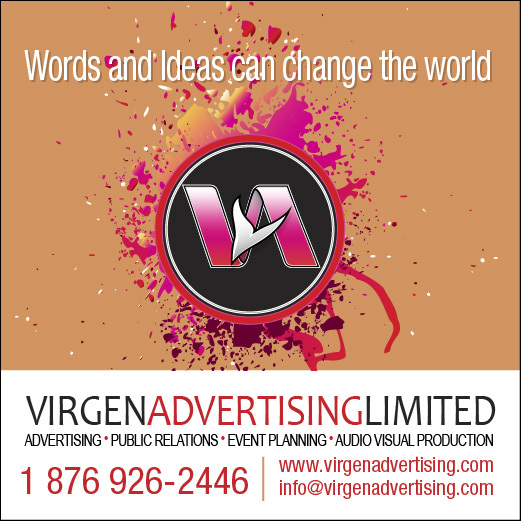 In trading, AMG Packaging closed with a gain of 15 cents to end at $5 with 10,575 units changing hands, Blue Power closed at $13 with 8,900 units changing hands, Caribbean Flavours traded 410,645 units to end at $4.50, Caribbean Producers traded 467,769 units and ended at $3.05. Consolidated Bakeries gained 15 cents to end at $1.95, with 10,000 units changing hands. Dolphin Cove had 6,739 shares changing hands at $12.50 after rising $1.47, General Accident ended with 37,959 shares changing hands, in closing at $1.90, Honey Bun ended with 14,160 units trading with a gain of 10 cents close at a new 52 weeks’ high of $5.20. 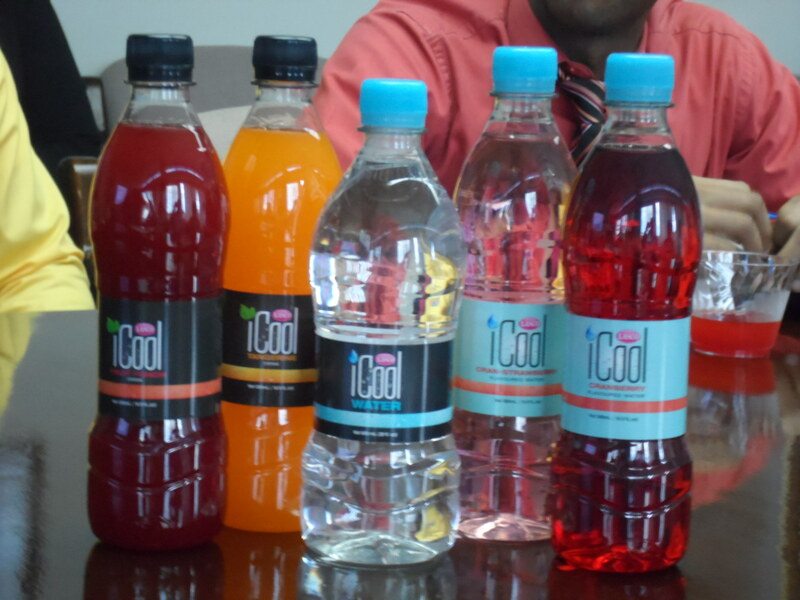 Jamaican Teas had 10,501 shares trading, to close at $3.90, Knutsford Express closed with 19,622 shares trading, with a loss of 45 cents at $6.55, KLE Group end with 130,073 units trading at 45 cents for a rise of 1 cent, Lasco Distributors ended with 237,120 shares changing hands and closed with a gain of 45 cents at $4, for a new all-time closing high. Lasco Financial closed with an increase of 15 cents at a new 52 weeks’ high $2.70, after trading earlier at $2.80, with a total of 774,689 shares changing hands. Lasco Manufacturing fell 10 cents to end at $3.80 with 349,918 shares changing hands, Medical Disposables closed at $3.40 with 108,574 shares trading and lost 10 cents, Paramount Trading ended with 3,102 shares changing hands and gained of 11 cents to $7.21 for a new 52 weeks’ high and Sweet River ended with 44,011 units changing hands at $3.86 after losing 1 cent. 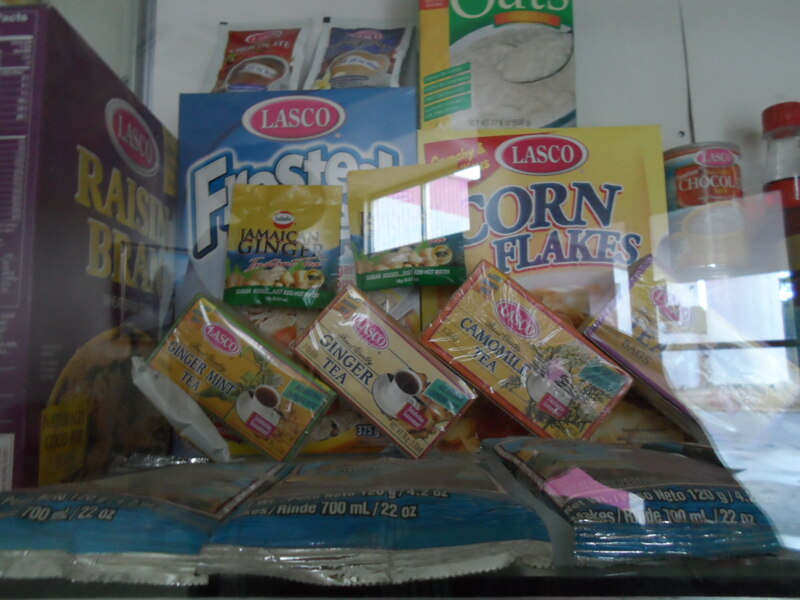 Lasco Distributors closed at a new high of $2.55 on Wednesday. The junior market broke the 1,400 points level for the first time, just after the market opened on Wednesday morning, after Lasco Manufacturing traded 31,500 units at $3.90 to lift the index by 23.71 to 1,420.07. 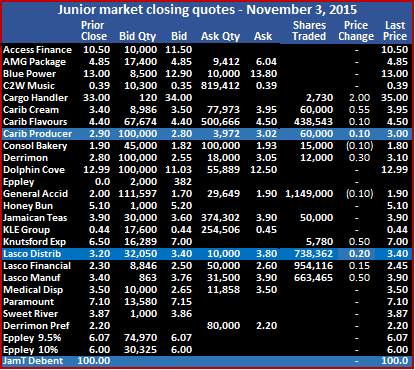 The junior market ended trading in 12 securities as 4 stocks advanced and 1 declined. The market index rose 31.56 points to end at a new all-time closing of 1,427.92 and has gained 103 percent since the start of the year. A total of 3,205,139 units, valued at $12,454,599 changed hands. The market ended with 1 stock closing at new 52 weeks’ high, while 2 securities ended with no bids to buy and 7 had no stocks being offered for sale. A total of 7 stocks closed with bids higher than the last traded prices and none closed with a lower offer. 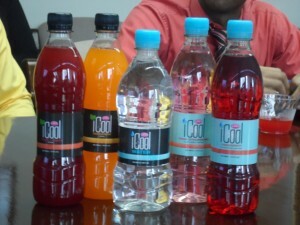 In trading, Access Financial closed at $11.60 with 5,000 units changing hands to end at of $11.55 while gaining $1.05, Caribbean Cream with 1,169,249 shares changing hands ended at $3.95, Caribbean Flavours traded 100,000 units to end at $4.50, Caribbean Producers traded 32,296 units for a rise of 5 cents to end at $3.05. Derrimon Trading ended at $3.10, with 25,070 units changing hands. Dolphin Cove had 80,000 shares changing hands at $11.03 after falling $1.96, General Accident ended with 82,455 shares changing hands, in closing at $1.90, Jamaican Teas had 2,300 shares trading to close at $3.90, Lasco Distributors ended with 554,500 shares changing hands and closed with a gain of 15 cents at $3.55 for a new all-time closing high. Lasco Financial closed with a 10 cents increase at $2.55, after trading earlier at $2.60, with a total of 131,975 shares changed hands and Lasco Manufacturing ended of $3.90 with 872,436 shares changing hands, Medical Disposables closed at $2.55 with 121,858 shares trading and Eppley cumulative preference share 2019, ended with 25,000 units changing hands at $6.07. The junior market breaks the 1,400 points level in early trading on Wednesday morning session with Lasco Manufacturing trading 31,500 units at $3.90 to lift the index by 23.71 to 1,420.07 at 9:37am, the highest the market has ever traded up to then. The market was quite active with 23 securities trading within half an hour of opening, a development not seen for a long time. Cable and Wireless traded 708,542 shares down to 80 cents and as high as 86 cents. The stocks now has bid of 81 cents to buy 200,000 shares on the offer is 4,600 units at 82 cents. In the wider market Jamaica Broilers traded 231,250 units at $9.20, Mayberry Investments traded 771,416 units at $4.20, Lasco Distributors traded 511,500 shares and Lasco Manufacturing with 582,147 units. Trading resulted in 32 securities changing hands with a volume of 3,340,481 units as 14 stocks gained and 8 declined and a number of new all-time highs were reached with the Jamaica Stock exchange. The Jamaica stock market after 75 minutes of trading, recorded gains in the indices. The All Jamaican Composite index gained 291.99 points to 147,537.02 strong> JSE Market Index rose 261.28 points to 132,951.44 the JSE combined index climbed 629.28 points to be at 138,356.64 and the junior market index rose 40.51 points to its highest level of 1,436.87. 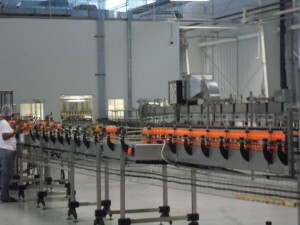 Lasco Manufacturing drink factory, which help push profit & the stock to new highs on Tuesday. The junior market closed just shy of another milestone of 1,400 points with trading in 12 securities, the market index rose 48.59 points to end at a new all-time closing of 1,396.36 and has gained 103 percent since the start of the year. A total of 4,148,996 units, valued at $12,276,852 changed hands as 9 stocks advanced and 2 declined. The market ended with 5 stocks closing at new 52 weeks’ high and 2 at an intraday high, while 2 securities ended with no bids to buy and 10 had no stocks being offered for sale. A total of 6 stocks closed with bids higher than the last traded prices and 2 closed with lower offers. In trading, Cargo Handlers closed at $35 with 2,730 units changing hands to end at a new 52 weeks’ high of $35 while gaining $2, Caribbean Cream with 60,000 shares changing hands ended at $3.95 but traded for a new 52 weeks’ high. 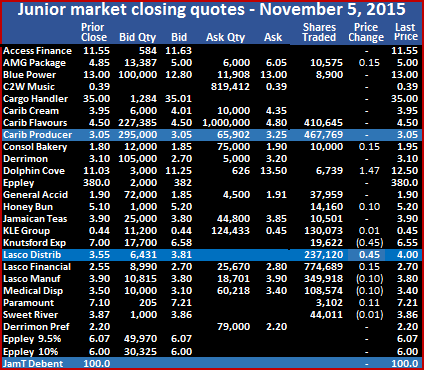 Caribbean Flavours gained 10 cents while trading 485,543 units to end at $4.50, for a new 52 weeks’ high, Caribbean Producers traded 60,000 units for a rise of 10 cents to end at $3, Consolidated Bakeries traded 15,000 shares, to end at $1.80 with a loss of 10 cents. 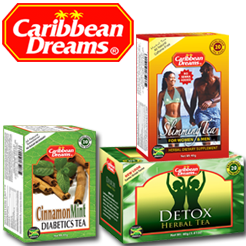 Derrimon Trading rose 10 cents to end at a new high of $3.10, with only 12,000 units changing hands, General Accident ended with 1,149,000 shares changing hands, in closing at $1.90, after falling 10 cents, Jamaican Teas had 50,000 shares trading to close at $3.90, Knutsford Express had 5,780 shares changing hands at $7 after rising by 50 cents to close at a new 52 weeks’ high. Lasco Distributors ended with 738,362 shares changing hands and closed with a gain of 20 cents at $3.40. Lasco Financial closed with a 15 cents increase at $2.45 after trading earlier at $2.71, with a total of 954,116 shares changed hands and Lasco Manufacturing ended at a new all-time closing high of $3.90 with 663,465 shares changing hands with a rise of 50 cents. The junior market enjoyed wide spread trading as 13 securities were active and the market index rose 22.82 points to end at a new all-time closing of 1,347.77. A total of 1,520,187 units, valued at $5,119,713 changed hands as 7 stocks advanced and 5 declined. The market ended with 3 stocks closing at new 52 weeks’ high and one at an intraday high, while 3 securities ended with no bids to buy and 9 had no stocks being offered for sale. A total of 6 stocks closed with bids higher than the last traded prices and one closed with a lower offer. In trading, AMG Packaging closed at $4.85 after trading at $5 with 83,316 units changing hands. 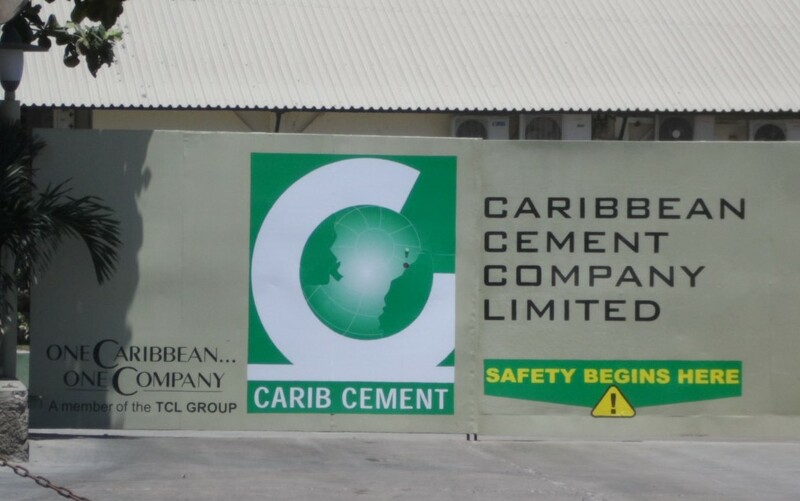 The company reported big increase in profits after trading closed on Friday with earnings for the full year to August being 78 cents per share, up from 45 cents in 2014, Caribbean Cream with 188,800 shares changing hands ended at $3.40 but traded at an intraday high of $3.60. Caribbean Flavours gained 36 cents while trading 11,806 units to end at $4.40, Caribbean Producers traded 33,704 units for a loss of 11 cents to end at $2.90. Consolidated Bakeries traded 71,000 shares, to end at $1.90 with a loss of 10 cents, Dolphin Cove fell 1 cent to end at $12.99, with only 850 units changing hands. General Accident ended with 31,129 shares changing hands, in closing at $2, after rising 30 cents, Honey Bun traded 1,070 shares at $5.10, for a new 52 weeks’ high, with a gain of 10 cents. Jamaican Teas had 75,615 shares trading to close at $3.90 after rising 48 cents, Lasco Distributors with 153,661 shares changing hands and closed with a gain of 10 cents at $3.20. Lasco Financial closed with a 10 cents decline at $2.30 after trading earlier at $2.50, after 105,409 shares changed hands. Lasco Manufacturing traded 250,635 shares to end with a decline of 3 cents to $3.40 and Medical Disposables ended with 514,192 units changing hands to end with a gain of 50 cents to a new all-time high of $3.50. The junior market enjoyed wide spread trading as 14 securities were active and the market index rose 13.41 points to end at a new all-time closing of 1,324.96. A total of 4,209,966 units, valued at $13,863,050 changed hands, as 5 stocks advanced and 5 declined. The market ended with 2 stocks closing at a 52 weeks’ high while 3 securities ended with no bids to buy and 7 had no stocks being offered for sale. A total of 7 stocks closed with bids higher than the last traded prices and none closed with a lower offer. In trading, AMG Packaging closed at $4.80 with 11,653 units changing hands, the company reported big increase in profits after trading closed, with earnings for the full year to August of 78 cents per share, up from 45 cents in 2014. Blue Power had 12,850 shares changing hands at $13, Caribbean Cream with 733,032 shares changing hands ended at $3.40, Caribbean Flavours gained 6 cents while trading 68,950 units at $4.06, Caribbean Producers traded 51,000 units for a loss of 9 cents to end at $3.01. Consolidated Bakeries traded 417,000 shares, to end at $2 with a gain of 10 cents, for a 52 weeks’ high. Derrimon Trading had 71,260 units trading at $2.80 at the close with a loss of 20 cents, Dolphin Cove recovered from the big loss on Wednesday, to end at $13, with a gain of $1.40 on Friday, as 130,300 units changed hands. General Accident ended with 65,155 shares changing hands at $1.70 after falling 20 cents, Knutsford Express traded 778 shares at $6.50. Lasco Distributors with 924,890 shares changing hands and closed with a loss of 30 cents to $3.10. Lasco Financial closed with a 15 cents decline at $2.40 after trading earlier at $2.60. 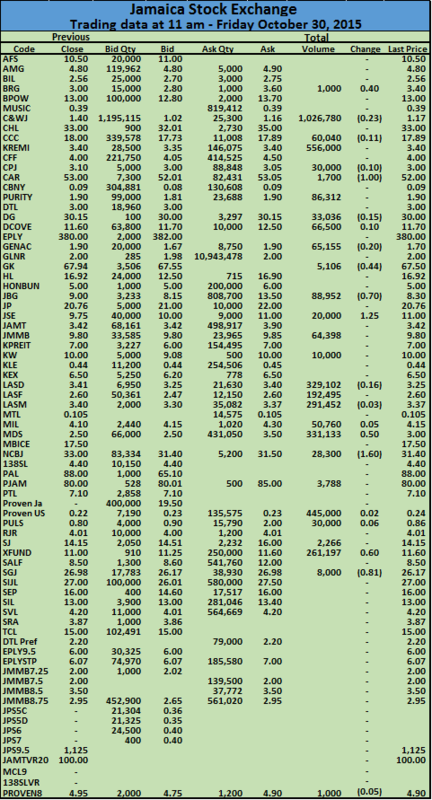 A total of 597,056 shares changed hands, Lasco Manufacturing traded 804,759 shares to end with an increase of 3 cents to $3.43, Medical Disposables ended with 331,133 units changing hands to end with a gain of 50 cents to a new all-time high of $3 and Derrimon Trading 11.75% preference share had just 3,000 units changing hands at $2.20. Cable and Wireless fell to $1.17 in early trading on Friday with 1,026,780 units between $1.17 and $1.40 to record the last traded at $1.17. 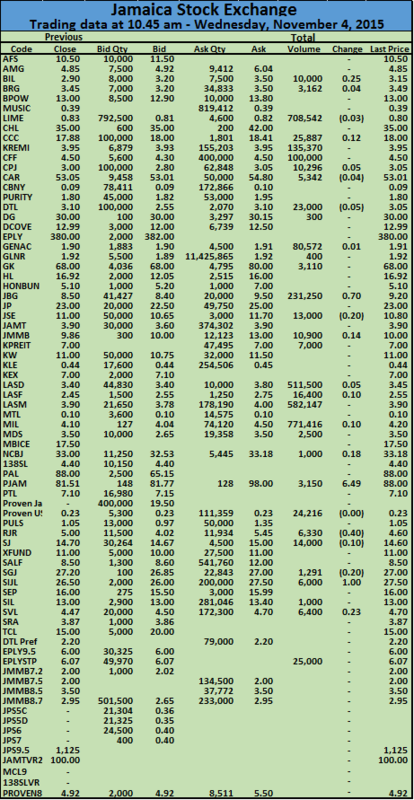 The stocks now has bid of $1.02 to buy 1,195,115 shares on the offer is 25,300 units at $1.16. The next closest offer is at $1.38 with 913,000 shares. Trading resulted in 28 securities changing hands with a volume of 4,089,472 units as 8 stocks gained and 12 declined and a number of new all-time highs were reached with the Jamaica Stock Exchange, Medical Disposables, Sagicor Real Estate Fund and all hitting new highs and Mayberry Investment at a new 52 weeks’ high. The other main trades Caribbean Cream with 556,000 shares changing hands at $3.40, Lasco Distributors with 329,102 shares changing hands at $3.25, Medical Disposables saw a jump in price to $3 with 331,133 shares changing hands and Proven Investments with 445,000 units at 23.9 US cents. At a minute after 11am Barita Investments crossed 3 million units of Sagicor Group at $14.75. 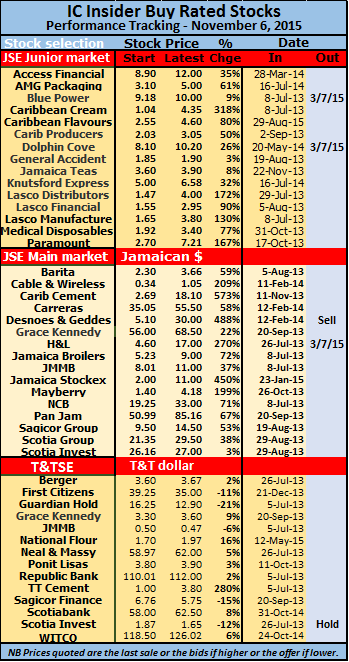 The Jamaica stock market after 90 minutes of trading, recorded mixed results in the indices. The All Jamaican Composite index jumped slipped 71.14 points to 144,908.18 JSE Market Index fell 63.66 points to 130,599.13 the JSE combined index rose 73.57 points to be at 135,150.31 and the junior market index rose 14.97 points to its highest level of 1,326.51.